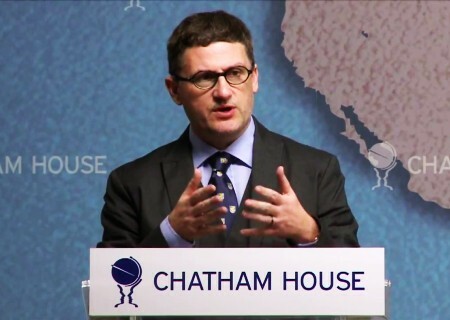 Dr. Mark Galeotti is Professor of Global Affairs and academic director of the Transnational Security concentration of the MS in Global Affairs program, at NYU. He started his academic career concentrating on conventional security issues, including the impact of the Soviet invasion in Afghanistan and the implications of the disintegration of USSR. However, in his fieldwork he encountered the rising new generation of gangsters carving out their portions of the decaying Soviet Union and was one of the first Western academics to recognize this as an emerging security concern. Dr. Galeotti read history at Cambridge University and took his doctorate in government at the London School of Economics, exploring the impact of the Soviet war in Afghanistan. He has worked as a researcher in the British Houses of Parliament and in the City of London, and in 1996-97 was attached to the British Foreign & Commonwealth Office in an advisory capacity, where his brief covered Russian foreign and security affairs. In addition to the advisory role to the British Foreign Office, he has worked with a wide range of commercial, law enforcement and government agencies, from the State Department to Interpol. Before joining the faculty of the Center for Global Affairs he had been head of the history department at Keele University in the UK and the founding director of its Organized Russian & Eurasian Crime Research Unit, the only such specialized center in Europe. He has been Visiting Professor of Public Security at the School of Criminal Justice, Rutgers-Newark 2005-6, a Visiting Fellow of the Oxford University Extra-Legal Governance Institute in 2007, Visiting Professor at MGIMO (Moscow) in 2014 and Whitaker Visiting Professor at Charles University (Prague) in 2014. Dr. Galeotti founded the interdisciplinary journal Global Crime and wrote a monthly column on post-Soviet affairs in Jane’s Intelligence Review from 1991 to 2007. He has published widely, with 13 authored and edited books to his name (most recently Russia’s Wars in Chechnya, published by Osprey in 2014) and numerous other pieces, from articles in peer-reviewed academic journals to newspaper op-eds. His present projects include a global history of organized crime, and an analysis of the Russian ‘mafiya’. As Clausewitz has emphasized, we first need to understand exactly the nature of the war/threat that we are confronted with. What are the core features of this Russian approach on hybrid warfare? I like to use the term non-linear warfare, in part because it means nearly nothing, and doesn’t come with the intellectual baggage of a term like hybrid warfare which, after all, is a term that was designed to discuss how insurgents fight modern armies. We don’t have yet a proper vocabulary. The key thing is to realize the extent to which we all need to return to the essential – almost Clausewitzian – notion of war. In this context, war is a political instrument. War is one means of making the other side do what you want it to do, such as simply to remain part of your sphere of influence. What this approach is really about, in a way, is about placing kinetic military operations back in the toolbox. For a long time we thought them as entirely separate: diplomacy and politics on the one hand and warfare in the other. In some ways, warfare happens when the other things fail. What this doctrine is saying is no, let’s just appreciate that in fact we are talking about a whole spectrum of capabilities that can range from soft power suasion, to economic pressure, to increasingly tough diplomatic lines to a whole gradation of military operations that can range from sending 10 people into blocking a bridge, to sending a hundred people to help foment a local insurrection, to sending 10,000 people in a full-scale war. These instruments can and should be used together rather than as entirely separate pieces. In a way, the point of non-linear war is to bring war back in to the spectrum of modern statecraft, to appreciate that it is an acceptable instrument in Russian eyes and to make sure that policy-makers and policy executors realize the importance of the political impact. It is not about metrics of casualties inflicted, how many bombing raids you manage to launch, all the things that we often see replacing actual military success as an indicator. It comes back to the political effect and the use of the military as a political instrument. Is the NATO’s Eastern Flank vulnerable to non-linear warfare? It reflects a variety of processes, but the most fundamental one is the extent to which traditional war, especially between the most advanced powers, is almost incomprehensible in terms of actual direct costs, in terms of economic and political costs. There is a low-intensity war between Russia and Ukraine, but at the same time I can take a plane in Moscow and I can fly to Kiev. There is trade crossing the border, both legal and very heavily illegal. We live in a world where the old notion of war, war as a binary process, where you are at war or you are at peace, means increasingly less. So on one hand, traditional warfare is much less a usable tool. On the other hand, there is the fact that all societies now are much more casualty-averse. Even today’s Russia is not Stalin’s Soviet Union, can’t treat people as ammunition. Old traditional warfare is hardly conceivable unless it is essentially civil war where rational calculations tend to go out of the window. This is less of a new way of war so much as a way of fighting a war in a new world. It is the world that has changed rather than the tactics and the ideas. It is in this changed context that everyone is talking about the need to interconnect government agencies and apply a whole-of-government approach. The very reason why they are doing that is because the world has become so heavily interconnected. Of course, at the same time one of the pathologies of complex bureaucracies is departmentalization. In this respect, the Russians have an advantage. Not because they don’t have huge monolithic and often deeply competitive bureaucracies – which they do – but precisely because, at the top at least, Russia remains a pretty authoritarian regime. You have a chief executive who can force coordination in a way that is much harder in a democratic society. Why was the Arab Spring perceived as being part of the warfare spectrum by the Gerasimov doctrine? Why has Arab Spring become an inspiration for the Gerasimov doctrine? Two reasons, really. The first is that many Russians genuinely believe, all evidence to the contrary, that the Arab Spring – like the “color revolutions” in post-Soviet Eurasia – was the product of Western, mainly U.S., political technologies, engineered regime change. When viewed in those terms, these revolutions, sprung from failures of governance, seem to demonstrate Gerasimov’s point that, these days, it is frighteningly easy to shatter states and their capacity to govern. (Even if, a great deal harder is to ensure that what follows is to your liking.) The second is a classic Russian habit, one dating back to Soviet times, of using other countries’ experiences and strategies as an allegorical way of talking about your own. When he talks about Western or U.S. ways of political warfare, he is really talking about how Russia is planning to fight and win such conflicts, but in a way that avoids making Russia look like the bad guy. You are a researcher focused also on the crime world. Is this also useful in understanding the shifting boundaries of waging warfare in this new world that you are emphasizing? Projecting power through underground crime world? Large organized crime organizations are essentially highly entrepreneurial bureaucracies that are shifting to become highly entrepreneurial networks. It is to some extent the same kind of pattern that we see in the upper legitimate world: a transition from the old, big monolithic structures towards much more flexible ones. Looking at the underworld shows what happens in voids of governance. Organized crime flourishes where governance fails and, because no governmental system is perfect, there always will be organized crime. But the scale, the size and the depth of criminal operations depend on the scale of the governance failure. Modern war is increasingly determined precisely by how one seeks to impact the other side’s governability (we see this trend particularly in Ukraine) and also how one can exploit the weaknesses of the other side’s governability. This is not new. One could look at WW2, at the campaign in Italy and the deals struck with the Mafia to provide intelligence and assistance in seizing Sicily. What is new is that what was seen as a disagreeable ad-hoc tactic is becoming the way the Russians are approaching full-spectrum warfare. It is just seen as another perfectly viable, legitimate opportunity. If we look at Crimea, when the “little green men” were deployed there, they were complemented by much less professional, much less uniformly uniformed, thuggish local “self-defense groups.” It has become clear that they were the gunmen of the local organized crime groups, pressed into service as auxiliaries. And when you look at the regime installed in Crimea from the premier down, it is very heavily penetrated by people from within the criminal world. The same pattern happened also in Donbass, where organized crime figures have become local warlords. My belief is also that some of the terrorist actions in the rest of Ukraine were carried out not directly by sympathizers of the rebellion or Russian government agents, but actually by organized crime figures paid by the Russians. Russia is ahead of the curve in global organized crime, where you have a political-criminal-business elite, that is not formed by Tony Soprano-like figures, but from businessmen who have a portfolio of interests that ranges from the essentially legitimate through to the grey and then wholly illegal activities. The boundaries between organized crime, intelligence operations, state-operations have become increasingly unclear. Can we identify a center of gravity in non-linear warfare? The center of gravity is necessarily in the heads of the people who make the final political decisions, and the people who influence them. Of course, people operating in essentially authoritarian regimes will tend to conceptualize the rest of the world in similar terms. I am always struck, when I am talking here in Moscow with people who are close to the political and military circles, by the mirror imaging that is at work, the extent to which they genuinely believe, at some level at least, that Western democracy is a sham, something manipulated by press barons, media spinners, political technologists. They really think that the West is a slightly more liberal version of Russia. Ultimately, if their purpose is to persuade Poroshenko and company that they need to cut a deal with Moscow, they see the Ukrainian population as merely one more instrument, one more lever. If you get the population angry, it will put pressure on the government and sooner or later the leadership will need to listen to and respond to their grievances. This is the way the Russian see it. I am very concerned by the clear Russian campaign to support political movements and groupings in Europe perceived as useful because they are sympathetic to Russia or hostile to the European Union. Their concept of the West is one where you really can buy politics. If there is a handful of people that you need to convince, how are we going to convince them? It might be by invading a province of that country, or it might simply be by bribing them. Ukraine was managed for so long in effect by bribery, after all. Or, it may be through blackmail, or sponsoring inconvenient political movements, or destabilizing the country so people’s lives get miserable by doing everything that could actually bring the pain to bear. This is the nature of the full spectrum warfare. It ties in with the so-called Gerasimov doctrine which is not a doctrine in military terms. It is actually a broader description of how he sees the nature of conflict emerging. To me, the most important line in that was he said was that non-military means could be far more effective than military means. When you have a career general saying that actually his trigger-pullers may not be crucial, that is significant. That is the key point. During the final stages of the Cold War, the Pentagon built its strategy on exploiting its own competitive advantages and the weaknesses of the Soviet Union. Is this also the Russian approach that we see deployed in its near-abroad? This is very much the Russian approach. The aim is to exploit the weaknesses, the vulnerabilities of the other side. Elsewhere, I called this approach “guerilla geopolitics.” It reflects on some level, however Moscow wants not to admit it, an understanding of how weak Russia is. Its hard-power is fine if you want to roll into Georgia, but even in Ukraine is questionable how useful it is. If someone looks at the underlying economic essentials, Russia is not a global super-power, but somewhere between Italy and Brazil. For these reasons, Russia should be as economical as possible: leverage its strengths and exploit the weaknesses of the adversary. But this places a huge premium on effective intelligence in the broader sense of the word. One of the reasons that Russians are stuck in what is clearly the quagmire that is Donbass is because they miscalculated. For me, the tragedy is that had there been even a single firefight in Crimea, had there been any sense that the Ukrainian government or military was willing to resist, I imagine that currently there would not be war in the Donbass. Because Crimea was so easy, in some way Russia became far too overconfident and thought that likewise it could easily pressurize Kiev. I was in Moscow at the time and the people who were speaking from foreign policy and defense circles were very bullish. They felt that the new regime in Kiev would be out in no more than six months and by the end of that period, Kiev will be forced to capitulate. What they didn’t realize was precisely the national mood, not so much the resistance of people like Poroshenko or Prime Minister Yatsenyuk, but the extent to which they could not have made the deal that Moscow was demanding without being swept away in Maidan 2.0. We need to be careful. There is always the risk of making the other side 10 feet tall. Actually, the Russians have distinctly limited capacities and they have demonstrated that they can do something that is brilliant and effective in Crimea and, something tactically effective, but strategically disastrous in the Donbass.